Quench Arts is now accepting referrals for the Wavelength project. 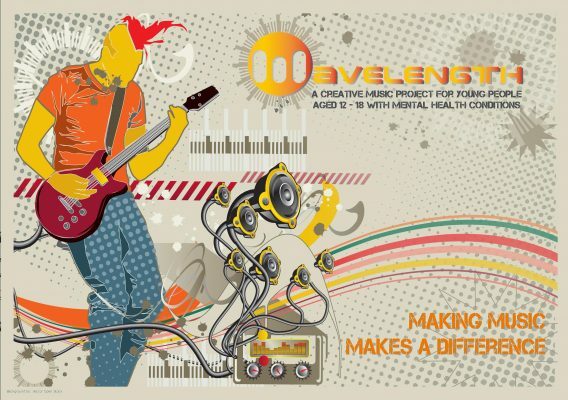 Wavelength is creative music-making programme for young people aged 12-18 with diagnosed mental health conditions or those classed as early intervention. Please see the attached flyer regarding how to apply. Wavelength is a free programme thanks to funding from BBC Children In Need, Services For Education (Birmingham Music Education Partnership), the Clive and Sylvia Richards Charity and the Grantham Yorke Trust. Please email – info@quench-arts.co.uk for further information.